We have composed a list of various questions that might come up or have been coming up a lot. If you can not find an answer to your question make sure to also check the forums or start a ticket at our support page. ScrimBase is a free ladder and tournament system where you can create a profile, start a team and compete against other players and teams. 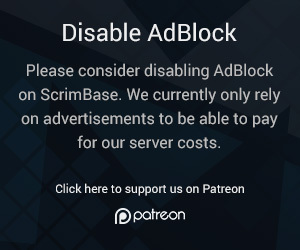 Read more about ScrimBase here..
How do I join ScrimBase? You can join ScrimBase by signing up for an account here. With an account you automatically create a profile which you can further customize when you are signed in. With a profile you can join or create a team. 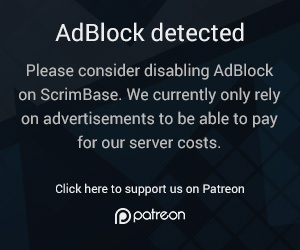 How can I contact ScrimBase? If you need support you can use the ticketing system on the support page. If you have a problem or question you can also ask for advice on the forum. If you have other questions or just want to contact concerning various things you can do so at the contact page. Complaints, inappropriate content or copyright infringement? We take complaints very seriously and will handle them accordingly. Since ScrimBase is a platform which lets it's users submit content and images it might happen that some of this content is inappropriate or infringes copyright. If this happens to be the case, contact us immediately and we will take appropriate action. We do not condone any form of abuse or cyberbullying, if you are a victim of such make sure to talk to us and we will see what we can do to sort out the problems. When you register a profile only basic information is entered for your profile, if you want to edit or add something to your profile you can go to the edit profile page. Here you can add an avatar, cover, description, video and some more personal information. Your account name equals to your nickname which you can edit on the edit profile page. If you are logged in all times and dates are changed according to your selected timezone. When not logged in you will see the standard UTC time everywhere. An alias is your name in a team, you can edit your alias by going to your profile and select the "Teams" tab, here you will see all the aliases you have in every team. You always have a default alias which u can use to manage team functions, comment or post on the forums. How do I switch alias? If you click on your name in the top right corner when your logged into your account you will see a button which says "Select Alias", here you will have a list with aliases you can select for default use. Can I be in more than 1 team? You can be in multiple teams and you can switch your default team by changing your alias. If you go to your profile and select the "Teams" tab you will see all teams that you have joined, below the team name there are leave team buttons which you can use to leave the team. When you are leader of a team, you first have to appoint a new leader which you can do on the edit members page of your team. We currently have no option to delete accounts, if you want your account deleted contact our support to make a ticket and we will see what we can do. You can easily create a team by filling in the form when logged into your account. After that you can customize your team, invite members and join competitions. You can completely customize your team, go to the edit team page where you can add a team logo, cover, social media and various other things. On your team page you can go to edit team and select edit members, here you can invite new members by searching them or entering their unique guid. Once you have invited them they can accept or decline your invite. You can also set your team as recruiting on the edit team page to have players make join requests. Can I transfer the team to a new leader? If you go to the edit team page and select edit members, you can transfer your leadership to another member in the team. You will automatically be demoted to officer. Can I appoint team officers? You can appoint officers to handle various tasks in the team, such as managing members, arranging members and more. To do this go to edit team and select edit members, here you can promote members to officers. Where can I delete my team? We currently have no option to delete teams, if you want your team deleted contact our support to make a ticket and we will see what we can do. What kind of ladders are there? ScrimBase has different ladders for various games, which are currently Europe only. You can checkout the ladders page filter by game and see which ladders there are. How does the ladder rating system work? ScrimBase uses rating based on the ELO system which was originally used in chess. The rating you receive for playing a match depends if the match was a victory, draw or loss and also on your current rating and your opponents rating. The number 1 on a ladder does not have a rating, you have to be in the top 5 and win a match against the number 1 to take his spot. How does my team join a ladder? Navigate to the ladders page click on the game and the ladder you want to join, on the ladder page you can click the "Join Ladder" button to have your team signup for that ladder. You will start out with 1000 points. How do we leave a ladder? If there are no pending matches or challenges you can leave the ladder by going to the team page and select ladders, here you can click "Leave this Ladder" on the corresponding ladder. How to become number 1 on a ladder? The leader of a ladder has no points and can only be beaten from the number one position by another team. To be able to take the number 1 spot you will have to be in the top 5 and challenge the ladder leader. If you win the match your team will take the first place, if you lose you will not loose rating. Lower ranked teams can also challenge the number one but can not take the number 1 position, instead they will receive a maximum of 120 points for the match. How i request a new ladder? If you think there is enough demand for a new ladder you can create a petition to start a new ladder. If a petition has enough votes we will see if it's enough to make a active and competitive ladder. How do I challenge another team? If you are a leader or officer on your current team and the team you want to challenge is on the same ladder as you, you can challenge them for a match. You can do so by going to that ladder and press the icon behind the team you want to challenge. What you can also do is go to the team page of the team you want to challenge and press the button at the top right of the team page and challenge them from there. Before challenging it is advised to check out the reputation of a team by going to their team page and clicking "Judge". When you make a challenge it will become an "Outgoing Challenge" which you can view if you go to your team page and press challenges. Same goes for an incoming challenge, you will see that on the same page under "Incoming Challenges". When a challenge is accepted, it will change to an accepted match until the match has started. After that it will move to the pending page. When a match is played you will need to enter or accept the score, this score can be entered or accepted on the pending page of your team. A match will give you points and becomes finalized when all parties have accepted the score. What are the rules for playing a ladder match? Every game and every ladder of that game has a specific ruleset for playing matches on it, you can view this ruleset by going to the ladder you want to play on and click ladder rules in the menu at the top. Make sure to formalize yourself and your team with those rules for a smooth experience. What if I don't agree with the rules of a challenge? If you want to play with different rules than your opponent proposes, you can always talk to them to play different rules. If you worked out rules that work for both teams the challenger can edit his challenge, if not you can always cancel or decline a challenge. How can I decline, edit or reschedule a challenge? If you have challenged another team and want to edit that challenge you can do so by going to your team page, clicking challenges and editing the challenge under "Outgoing Challenges". When you have received a challenge on a date you can't play or has rules you want changed, you can rechallenge the team by going to your team page, clicking challenges and clicking edit on the challenge under "Incoming Challenges". To decline a challenge you simply go to your team page, clicking challenges, view the match you want to cancel or decline and press cancel. Are match notes official rules? They are not. You can agree with the team you are playing to change the rules slightly by agreeing to them in the match notes, but if it comes down to a conflict they are not considered as official match rules. How do I enter or accept the results of a match? If you are a leader or officer of your team you can view all played matches on the pending page of your team. Fill in the score of the match or accept it if your opponent already filled in the score. There are a few possible outcomes of a match and your team should always have evidence of the score when asked by the opponent or any of the ScrimBase admins. If the match has been played and has no special outcome, you can just fill in the score which the other team should accept to finalize the match. When the match was cancelled and agreed by both teams it will be considered as not played. If one team has not shown up or could not get enough players, the match can result in a no show win for the other team. A forfeit is a punishment for not obeying the rules of ScrimBase or the ladder and will result in a score of 1 - 0. If your opponent has not shown up you can enter a no show on the match results page. At ScrimBase we do not take cheating lightly, see our Cheating and Abuse Policy for more information. If you think your opponent has cheated you can contact the supervisor or any moderator, supply us with evidence and we will take a look. If the opponent indeed cheated they will receive a punishment for it and the match outcome will be turned into your favor. In this case you need to contact a supervisor or moderator, have proof of the match and score and we will try to help you out. Make sure you check your junkmail or spam folder in your mailing client and mark it as safe. If this does not help, make a support ticket. If you navigate to the teams page, there is an option to only show recruiting teams. If you find a team you would like to join you can go to their team page and make a join request. Please open a support ticket to ask a question that is not listed on here.